Fresh off another successful managerial appearance at Now You Create Professional Wrestling event “Protect Ya Neck”, and a highly publicized trip to Brooklyn’s Barclays Center for SummerSlam weekend, the humble yet confident… cool yet tough…. 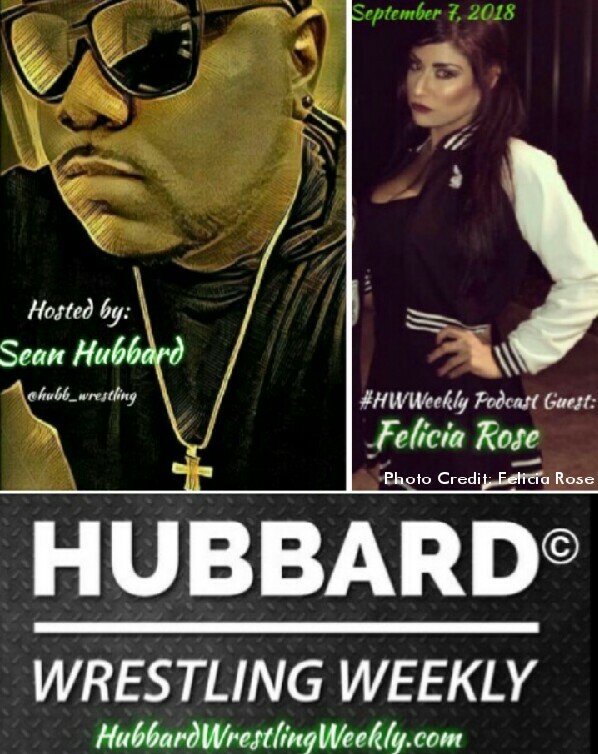 respected yet unapologetic superstar of the future, professional wrestling manager, and internet sensation FELICIA ROSE returns to the Hubbard Wrestling Weekly Podcast as she and host Sean H. begin the NEW FALL SEASON of the #HWWeekly podcast. She tells all, she keeps it real, and she does it with a humble and honorable outlook which has brought her respect everywhere she goes. She’s ODEE popular, she’s ODEE in demand, she is back on the HWW podcast, and it is an awesome listen… so click play and enjoy episode 15 of the best new up and coming professional wrestling podcast anywhere… the Hubbard Wrestling Weekly Podcast featuring special guest, Felicia Rose.